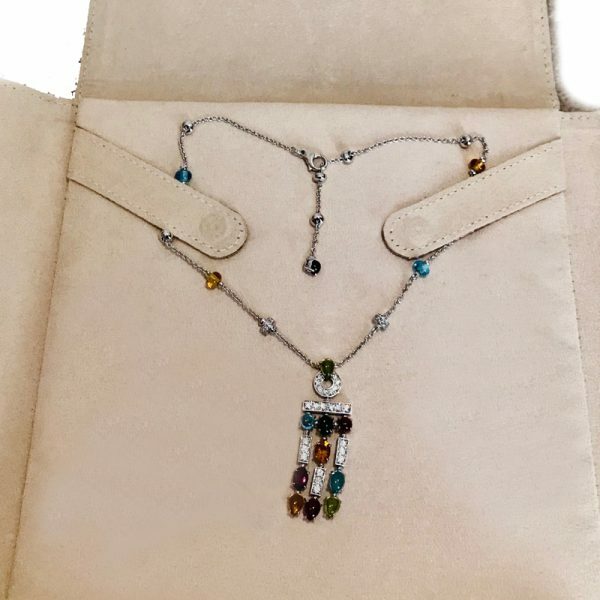 Description: From the Allegra collection this multi gemstone white gold, diamond and gemstone drop necklace is a fine example of Bvlgari’s use of vibrant colours and sparkling design to create an iconic piece . 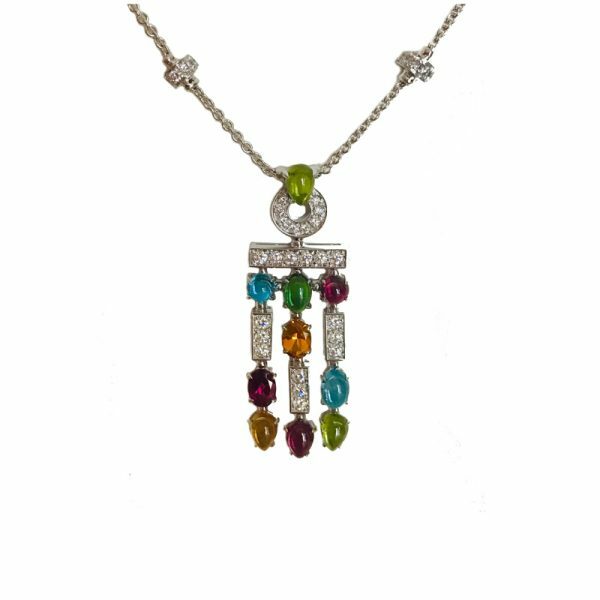 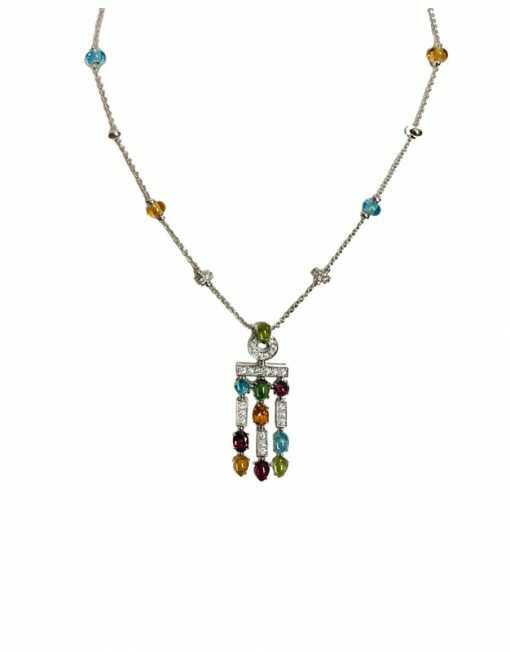 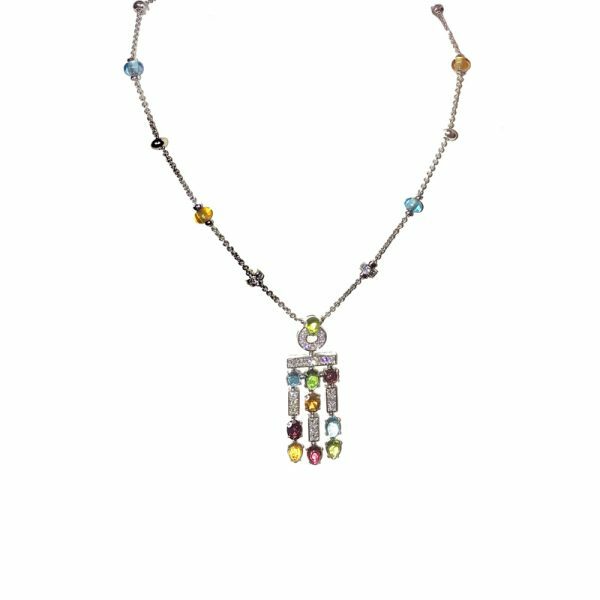 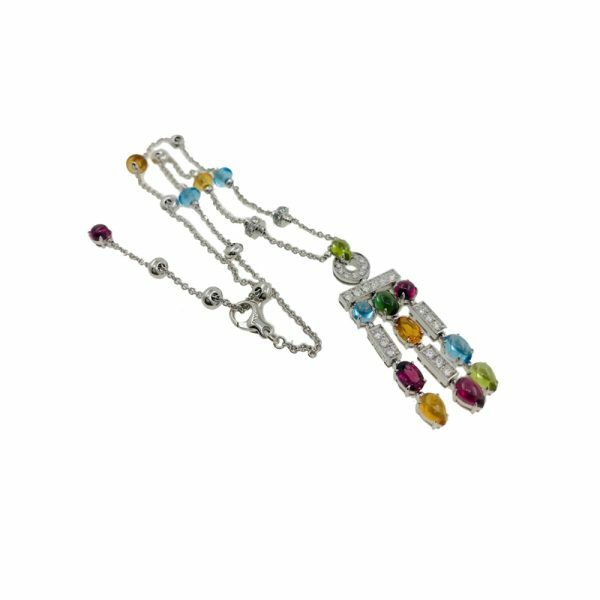 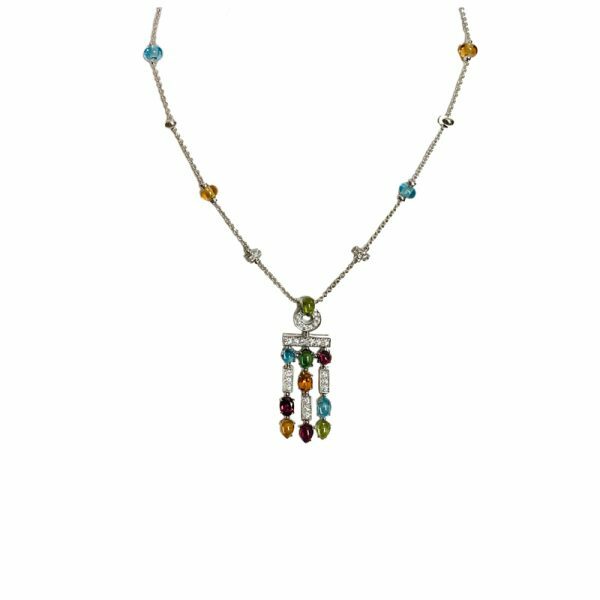 This 3-row long pendant necklace is crafted from 18k white gold with a 2”pendant set with pink and green tourmaline, peridot, amethyst, Palmeira citrine, garnet, topaz, and white diamonds. 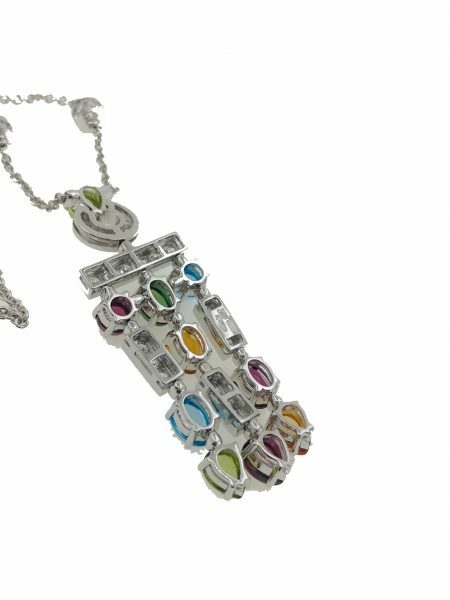 Approximate Dimensions: Pendant Length: 2″/52mm. 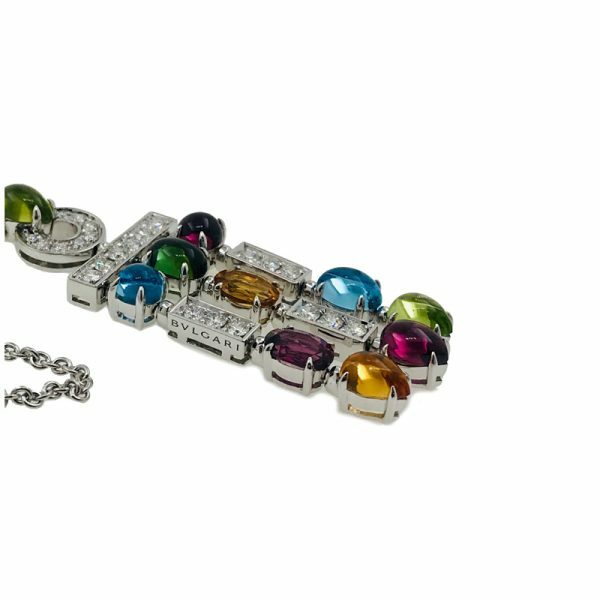 Width 17mm. 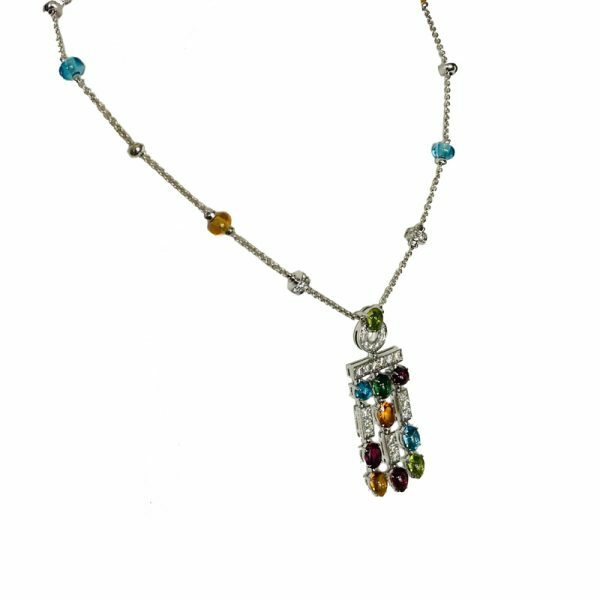 Total Chain Length: 17”/ 43.5cm Diamond weight: 1.25cts. 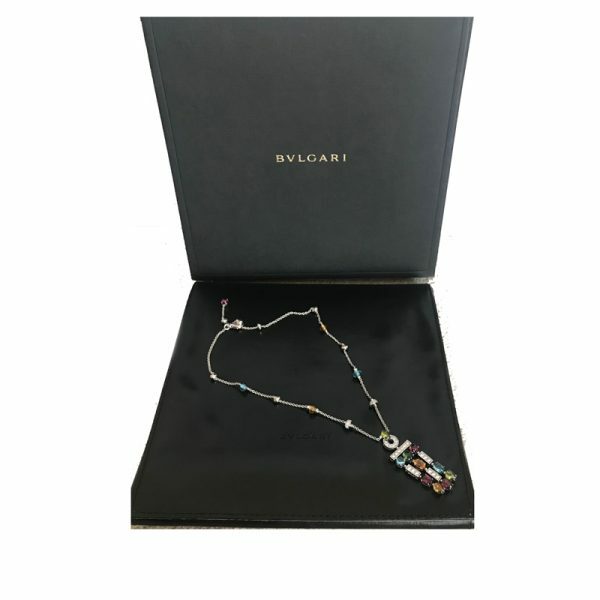 Packaging: Comes with original Bvlgari box and a recent Bvlgari valuation report.